Friends of Grand Rapids Parks offers mini-grants to neighborhoods and individuals to increase Grand Rapids' tree canopy and engage citizens in caring for mature trees. Grand Rapids will be increasing its tree count to the delight of both neighbors on Thomas Street and those at Friends of Grand Rapids Parks working to see the city's tree canopy grow. The new Thomas Street Community Garden is receiving six fruit trees through a mini-grant from the Friends of Grand Rapids Parks. 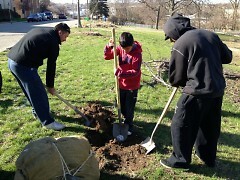 "We liked the idea of fruit trees on the land because our neighborhood has often been overlooked, and we have not had a good way to connect with each other on our block. I have a fruit tree in my front yard, which is a few doors down from the garden space, and I've spent a lot of time in my own yard talking to neighbors, picking and eating fruit together. 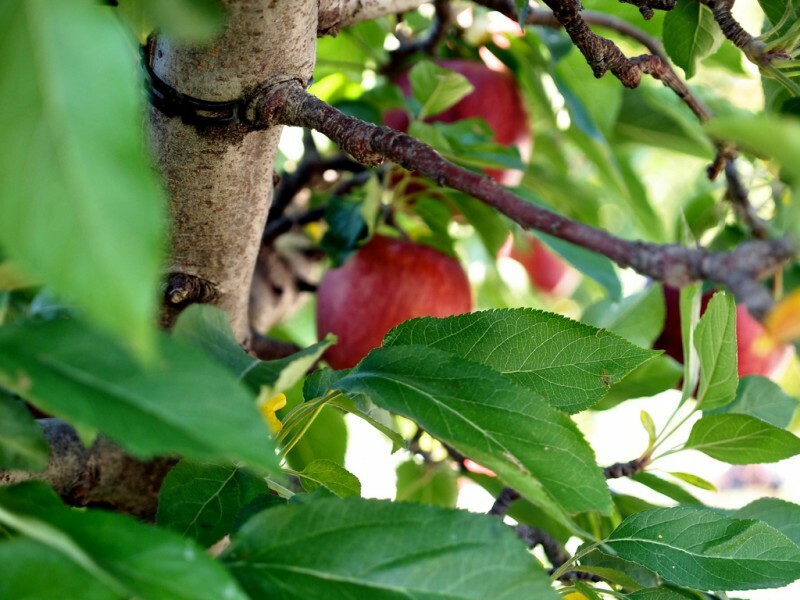 Our group thought fruit trees on our garden land would be great for teaching each other how to take care of the trees, while picking and harvesting and connecting with one another while doing so," says Scott. Scott's process was as simple as going to their Urban Forest Project website and filling out the mini-grant application form. "We serve as a resource for other neighborhood groups and individuals. Our goal is to keep it as open and available as possible so neighborhoods can come to us with great projects they already support. Our matching program is pretty easy to do and includes contributions through volunteer hours, donations, or in-kind gifts," says Steve Faber, executive director of Friends of Grand Rapids Parks. Scott's experience, she says, proved to be easy. "The process was incredibly user-friendly and easy," says Scott. "The mini-grants are only two pages long, and most is just basic info about the intent of the tree planting you would like to do. I asked the Thomas Street group for feedback and hand-wrote the grant in 20 minutes. They followed up with a call and a site visit, both of which were quick and easy. It's clear that Friends of GR Parks wants this money to be accessible to groups and projects, and not make us jump through lots of red tape." Faber says the goal is to "get a project done." "We work with them to facilitate what needs to happen," he says. "It's long-term thinking of long-term survival, so we not only work to get new trees in, but focus on caring for the trees as they grow as well." "Mini-orchards help people identify with trees and begin to care about the trees around them. We need this because part of our goal is to preserve and protect what is already there. We must preserve the old, big trees to make it to the 40 percent goal," he says. "We can plant trees all day, but if the big trees die, it's decades to replace their spot in the canopy." "We are in the process of obtaining six semi-dwarf, self-pollinating fruit trees from Flowerland, which are grown in Michigan. Our neighborhood group decided on cherry, apple, plum, peach, pear and apricot trees. Five of the trees will be planted at the back of the garden, so as not to overshade the raised beds we will be putting in with the help of Baxter neighborhood and generous donations of neighbors. One tree will be closer to the front of the land and we hope to have a picnic table under it, for shade from the more intense growing months," says Scott. For those thinking of planting mini-orchards in their community gardens, Faber encourages them to apply now for the fall planting season. This season is already full, and spring trees were ordered in February. There's still room in the fall planting season, which is two months long. Interested people can apply here.